All Syska Personal Care products, including hair dryers, come with a 2-year warranty. Ion Technology utilises the benefits of negatively charged ions to reduce static in your hair, making it smoother and shinier. You can enjoy the power of ions with Syska HD3600i IonHealthy. What to do if my appliance falls in water? If your appliance falls into the bathtub, bucket, sink or gets wet in any other way, don’t touch it. If it was in use, immediately unplug it from the main power outlet to avoid electric shock. Even if the power is off, the appliance could contain live current which is equally dangerous. Wait for sometime till it cools down and then remove it from the water. Call up your Syska customer care and hand it over for repairs. The more it has soaked, the more likely that it is completely damaged and irreparable. However, if it can be recovered, our professionals will help you. 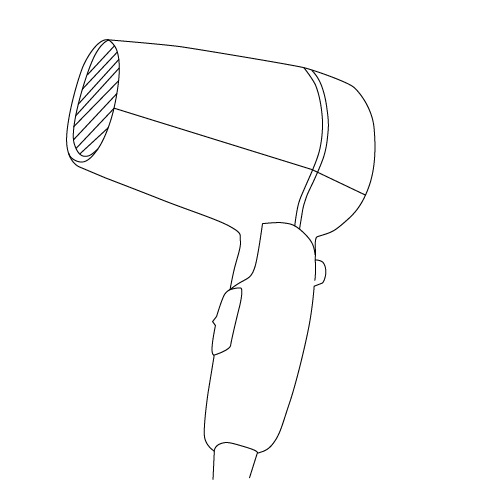 Is my Syska hair dryer travel-friendly? How to check if it is compatible with the Voltage of another country? Syska hair dryers are travel-friendly. Most of our Hair Dyers come with foldable Handels which makes it compact to be accommodated in travel luggage. But we recommend that you check the features of the product more closely to find out more about the same. Compare this with the output voltage of the country you’re visiting. If it is within the same range, the hairdryer is compatible.